Moffat Won’t Renumber the Doctors! As we all saw (and if you didn’t, you’re a bad Whovian; consider yourself unceremoniously banished to E-Space) in the brilliant “The Night of the Doctor,” the Eighth Doctor (Paul McGann) regenerated into the character played by John Hurt — dubbed the War Doctor in the credits — during an in-continuity minisode that also saw the return of the Sisterhood of Karn. My No. 1 fear — actually, my only fear, really — about DOCTOR WHO show-runner Steven Moffat inserting a previously unknown Doctor into continuity was that it would screw up the order of the Doctors, forcing us to retroactively renumber the Christopher Eccleston, David Tennant and Matt Smith incarnations as the 10th, 11th and 12th Doctors, respectively. I found that prospect revolting and unnecessary. This particular batch is notable for the clear looks at Billie Piper‘s Rose Tyler. This is definitely not the shopgirl that the Ninth Doctor met, nor is it the Rose the 10th Doctor knew. I think she comes from sometime after she was left on Pete’s World. And our assumption that she returns in this story with the 10th Doctor is wrong. Very wrong. She appears to be the companion of the Hurt Doctor, while 10 is traveling alone! A ‘Day of the Doctor’ Trailer? How About Three? Well, the BBC and Steven Moffat certainly made us wait long enough — but the patience of DOCTOR WHO fans has been richly rewarded, with three — count ’em, three — mind-blasting trailers with footage from the 50th anniversary story, “The Day of the Doctor.” Each one contains different scenes and they get progressively longer and more awesome and altered my consciousness and really, why are you reading this instead of watching?!?!?!?! And now the piece de la resistance, the 1:20 extended trailer! 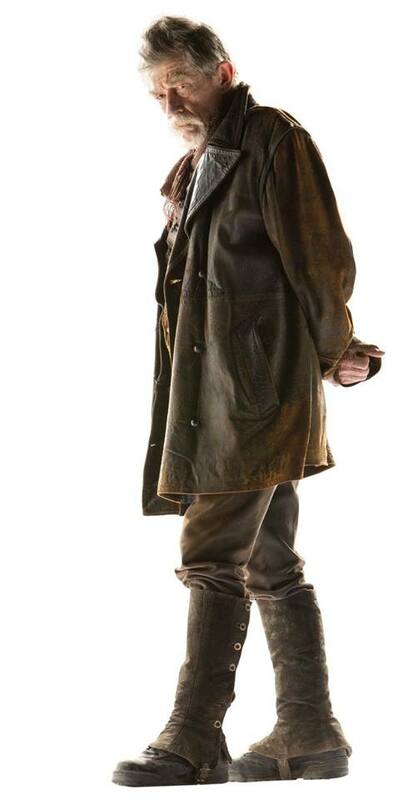 “I always think that the clown and hero are different levels in the Doctor — there is no completely straight Doctor. The folk memory of [William] Hartnell is he’s a cranky old man, but when you watch him he plays the Doctor as a stroppy child; very twinkly. And he’s not crotchety, he’s sulky, the way that an infant would be. Ian and Barbara are sort of his parents, indulging him to go and behave himself a bit better. The Doctors are always like that. He’s either an extraordinarily youthful old man or an extraordinarily old young man. He’s always both. What Happens on ‘The Day of the Doctor’? Would you like to know the plot of the DOCTOR WHO 50th anniversary story? Of course you would! And if you don’t, then you should not make the jump and instead skip this post and move along. “The Day of the Doctor” will run about 76 minutes and be simulcast around the world on Nov. 23, exactly 50 years to the day after the very first episode was broadcast. It will also be seen in 3D in movie houses around the planet. Okay, leave now… or make the jump… Spoilers!!!! 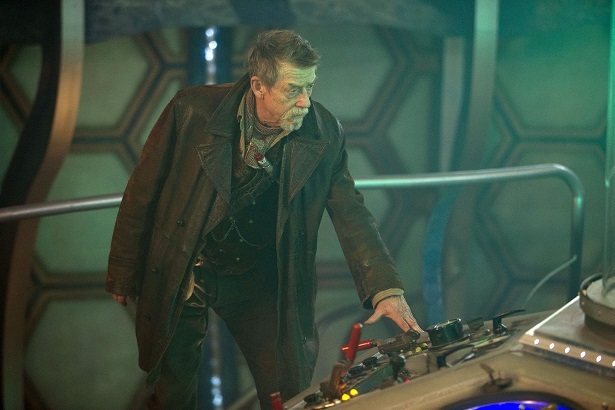 Steven Moffat: John Hurt — FTW! What he did he did without choice, in the name of peace and sanity. But what did he do? He upstaged his co-stars! We’ve heard that Matt Smith and David Tennant got on like a house afire while making the DOCTOR WHO anniversary story “The Day of the Doctor,” but how did newbie John Hurt fit in? Where Did the ‘Hurt Doctor’ Come From? DOCTOR WHO chief Steven Moffat shared more insight into the Doctor’s 50th anniversary story, “The Day of the Doctor,” with the current issue of SFX magazine, including the genesis of the Doctor played by John Hurt. “Why not a mayfly Doctor, who exists for one show only? I’d often thought about that. Would it be weird in the run of the series to have the 45th Doctor turn up and be played by Johnny Depp or someone? Would that be a cool thing to do? There was also the idea that if you could bring one classic Doctor back, you’d actually, impossibly, want it to be [First Doctor] William Hartnell. You wouldn’t want any of the others. You’d want him to come and say ‘What in the name of God have I turned into?’ That’s the confrontation that you most want to see, to celebrate 50 years. 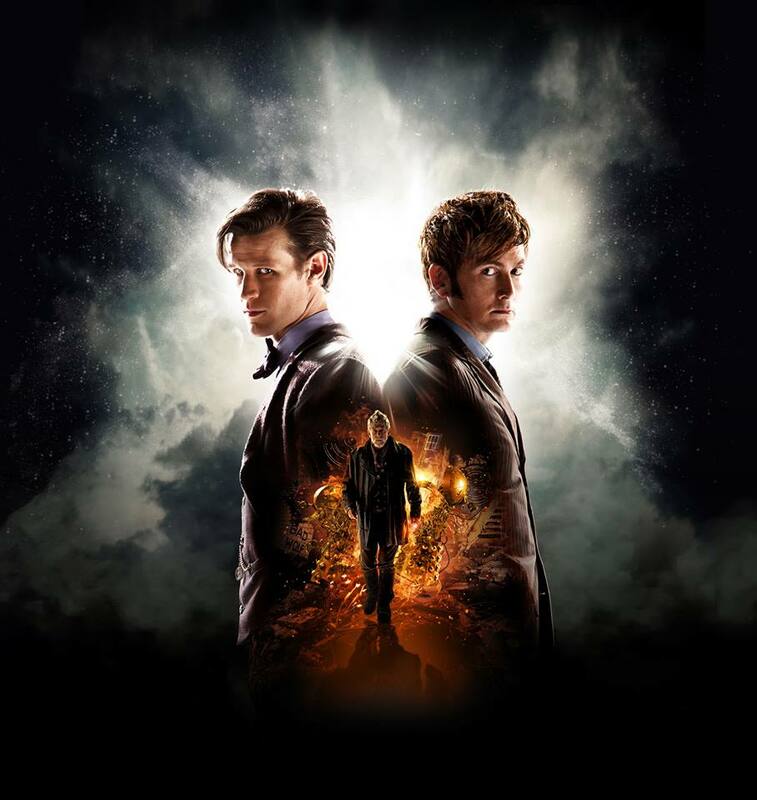 “Going round and round in circles on it I just thought ‘What about a Doctor that he never talks about?’ And what if it is a Doctor who’s done something terrible, who’s much deadlier and more serious, who represents that thing that is the undertow in both David [Tennant] and Matt [Smith]? You know there’s a terrible old man inside them.